Farrell Auction dealing in farm machinery, antique, land, household and other types of auctions in Milbank South Dakota and Minnesota. Farrell Auction is a three generation family business. Started by William "Bill" Farrell in 1930, today it's run by Jim, Steve and Paul Farrell, son and grandsons to Bill. Jim joined his father in the business in 1950 and brought along his own sons in 1990. 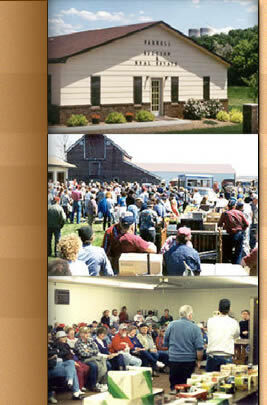 To date, Farrell Auction has conducted over 10,000 auctions. Farrell Auction is a premiere auction company dealing in farm machinery, antique, land, household and all other types of auctions. We cover alot of ground as we are licensed, bonded and insured in South Dakota, North Dakota and Minnesota. With our computerized mailing lists we can accommodate buyers and sellers with special interests, ensuring you a great auction.